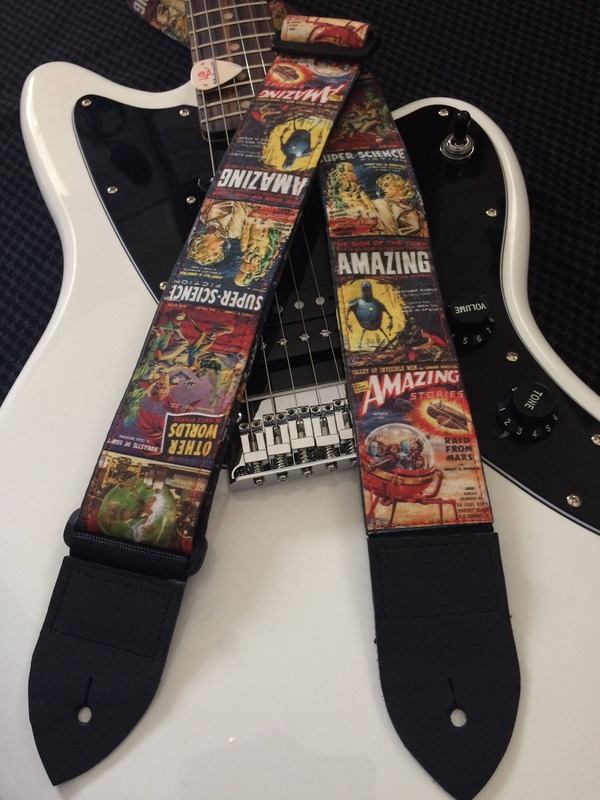 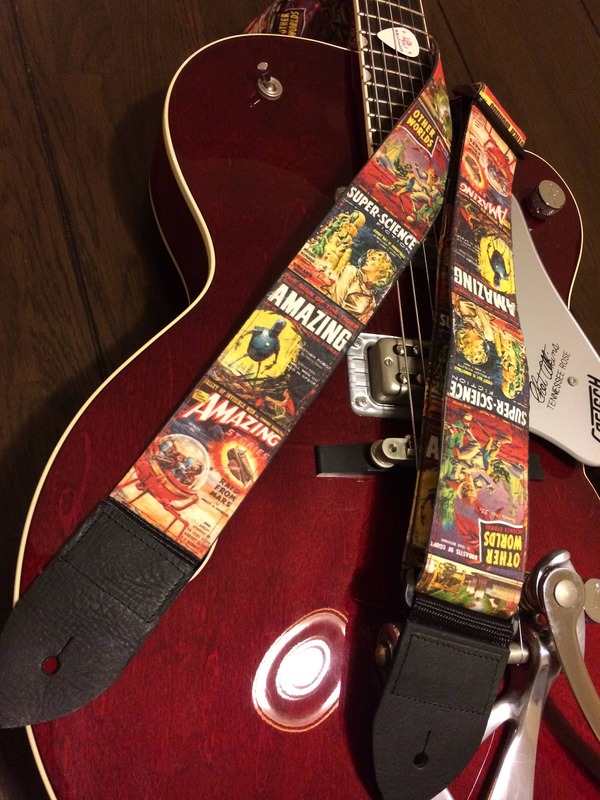 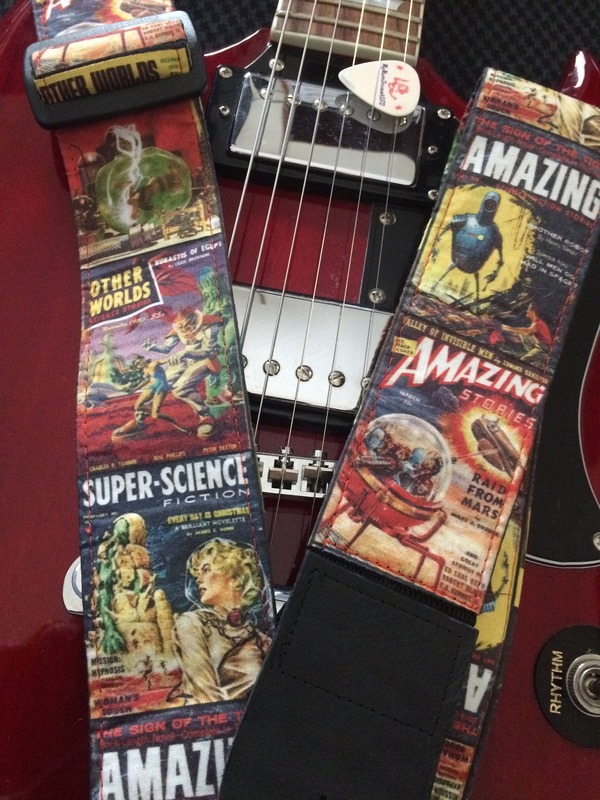 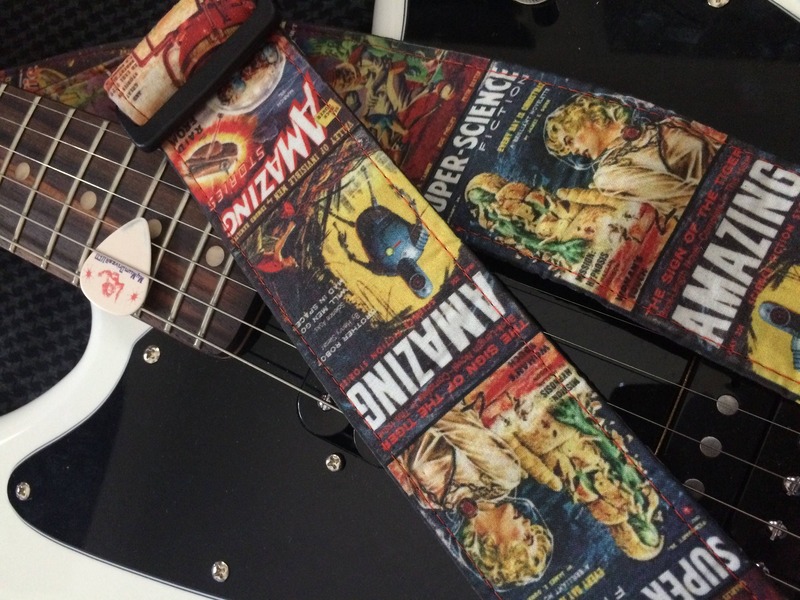 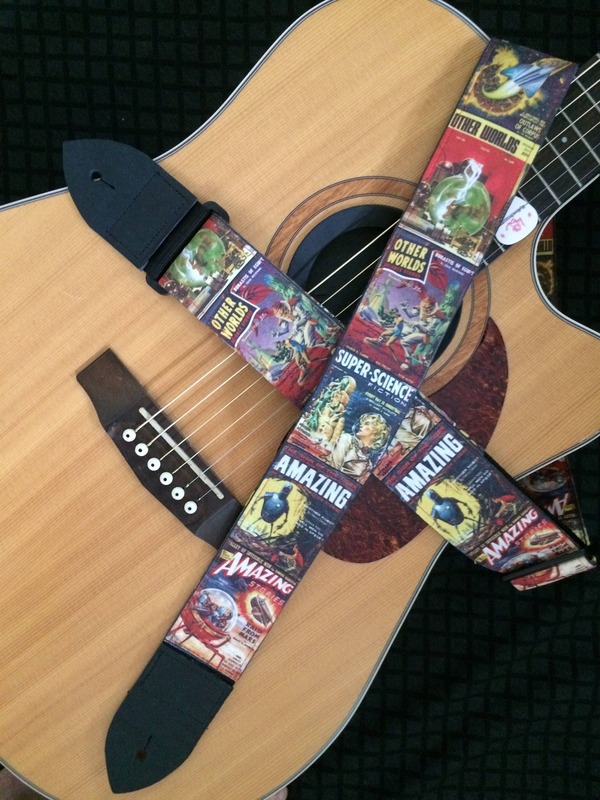 Sci-fi vintage magazine cover images in a stylish retro cool guitar strap. 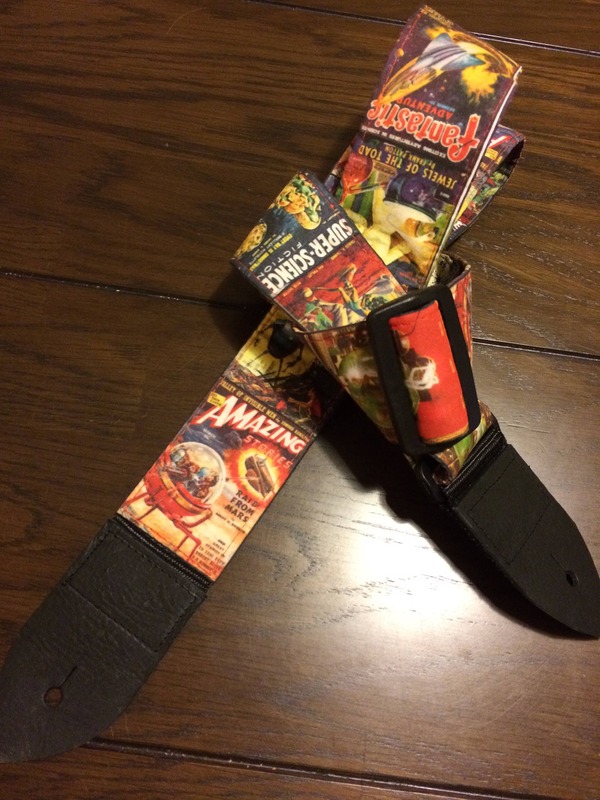 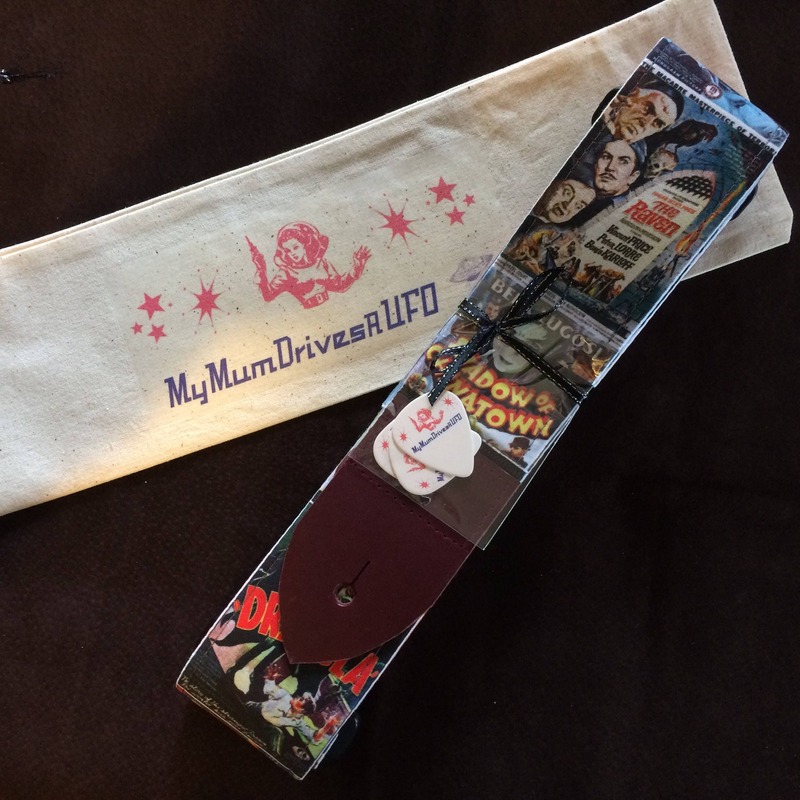 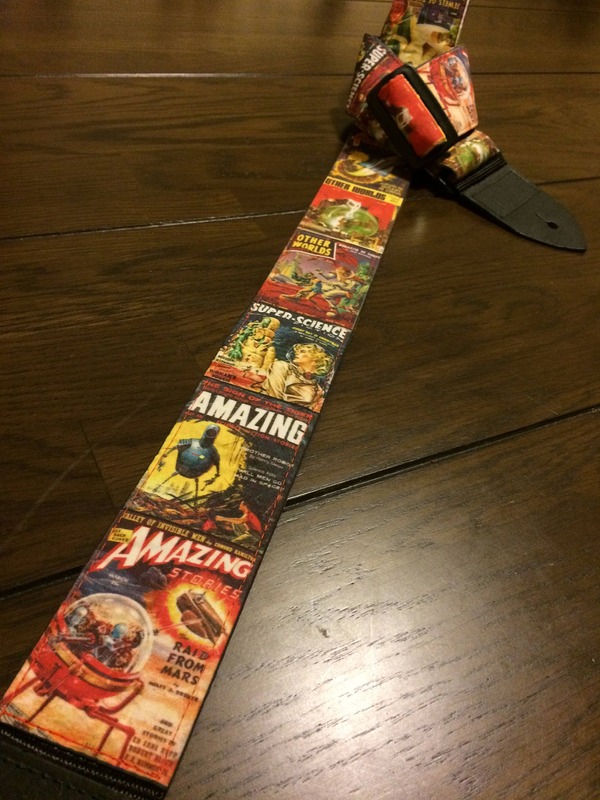 This strap is part of a series of designs based on sci-fi book and comic covers, b-movie sci-fi posters (see last image and other listings). 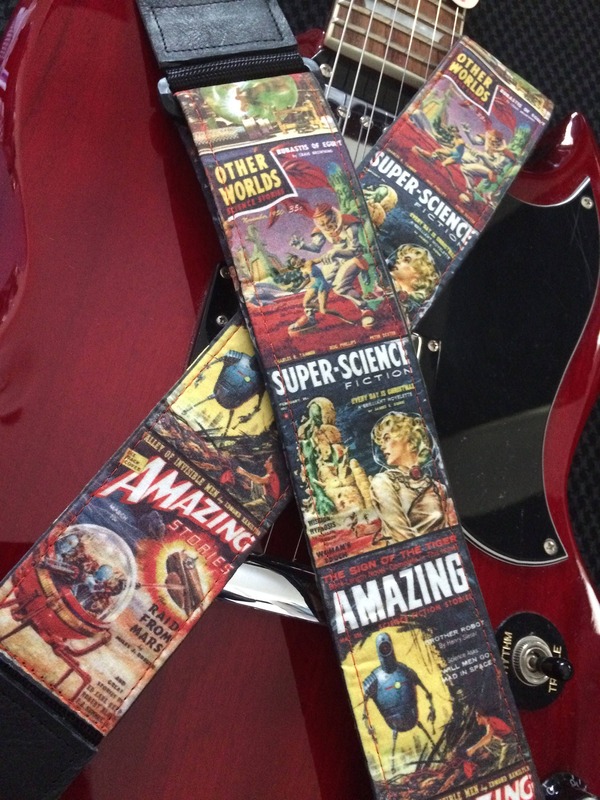 It features covers from Amazing Stories magazine (featuring 'Mission Hypnosis' by Harlan Ellison), Amazing Science Fiction Stories ('will men go mad in space? 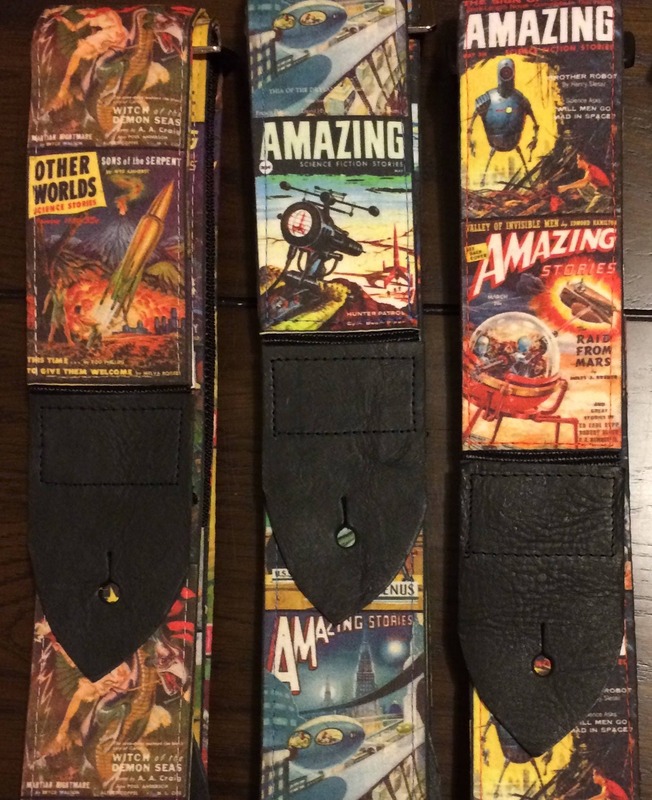 '), Amazing Stories ('The Raid from Mars'), Fantastic Adventures ('Jewels of the Toad'), Fantastic Adventures ('Outlaws of Corpus'), and Other Worlds.